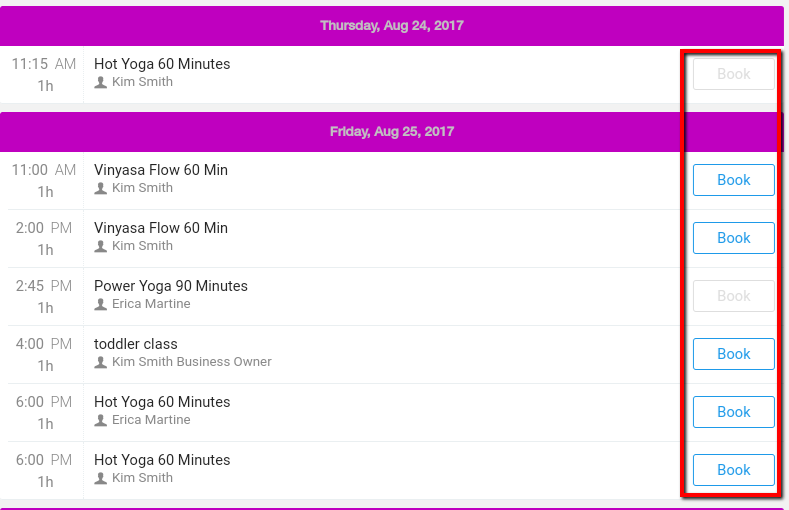 Students can book services, such as classes, appointments, and events, directly from their smartphones using the SWEAT app. Open the SWEAT app and login to your account. In the bottom menu, tap Book Now. Booking options for the chosen business are displayed. Tap the service that you wish to book. Available booking options are listed. Find the time slot and instructor that you prefer for your service, then tap Book next to the item. Details for the service are displayed. Tap Complete at the bottom of your screen. Your booking is completed. Tap the desired category in the list. The item is highlighted. Tap Next. Service options are displayed. Tap the desired item in the list. The item is highlighted. Tap Next. 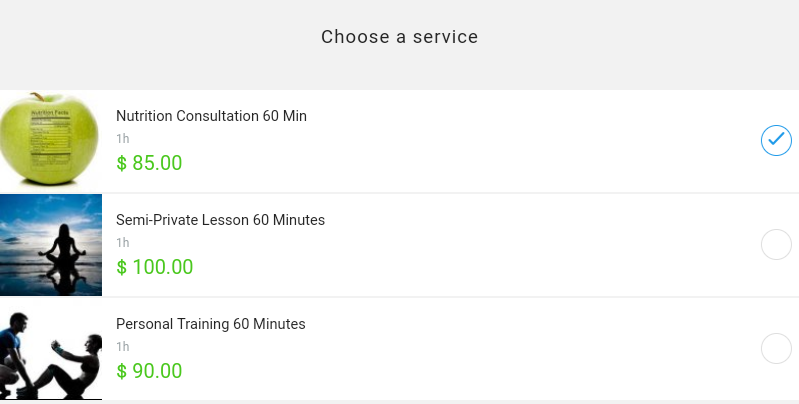 Service provider options are displayed. 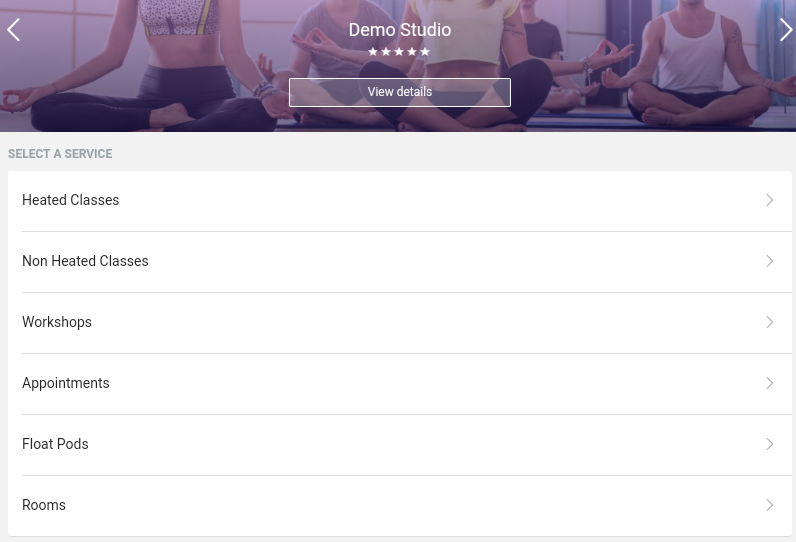 Either tap No preference or choose your desired instructor from the list. Tap Next. 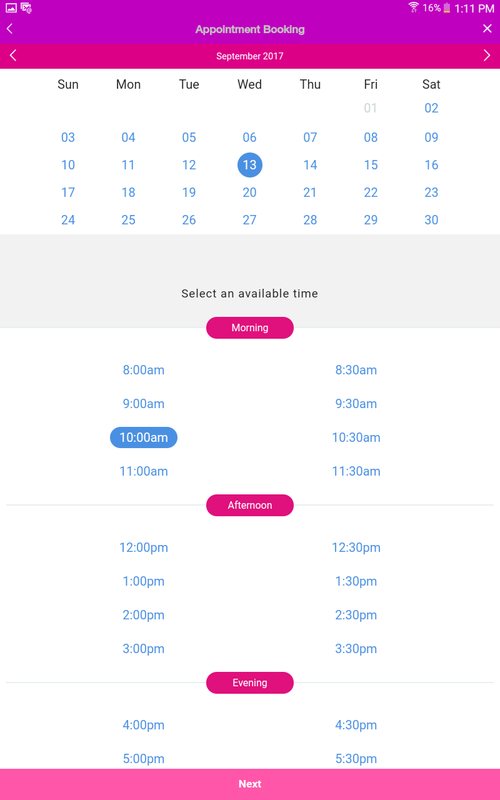 Scheduling options are displayed. Tap the day you wish to book your appointment. Time options are displayed. Tap the time you prefer to select it. Tap Next. Asset options are displayed (only if required). Tap the desired asset to select it. Tap Next. Payment options are displayed (only if a previously paid session is not in your account). To process your payment now, tap the desired payment option, then tap Pay now. Enter and review your payment information. Tap Request Appointment. Your appointment is booked. To process your payment at a later time, tap Pay later (not currently available at SWEAT). Your appointment is booked.